BALTIMORE -- A Maryland appeals court has granted a new trial for Adnan Syed in a murder case that gained the national spotlight after it was featured on the popular podcast "Serial." The Maryland Court of Special Appeals found that Syed had ineffective assistance at his trial and ordered his convictions vacated in the murder of his former girlfriend Hae Min Lee. Syed, now 38, was convicted in 2000 of killing Lee and burying her body in a shallow grave in a Baltimore park. Syed has been behind bars since his arrest in February 1999. Behind the push to get new trial for Adnan Syed of "Serial"
In 2016, a lower court judge vacated Syed's conviction and ruled that he deserved a new trial, reports CBS Baltimore. Prosecutors appealed that decision to the Maryland Court of Special Appeals, the state's intermediate appeals court. In a 2-1 ruling, the three-judge appeals court panel agreed with Syed's current lawyer that his trial lawyer was ineffective for failing to investigate a potential alibi witness who said she saw Syed at a public library at the time the state claimed Syed killed Hae. The panel said in its written decision that if testimony from Asia McClain had been presented to the jury, it would have "directly contradicted the State's theory of when Syed had the opportunity and did murder Hae" and could have created reasonable doubt in at least one juror's mind and led to a different outcome. During a hearing in June, Thiru Vignarajah, a special assistant attorney general arguing on behalf of the state, said it was reasonable not to seek out McClain because Syed's lawyer was focused on an alibi placing him at Woodlawn High School, not the library. "It's the kind of thing that the defense attorney would have to make a judgment about," he said. In a dissenting opinion, Judge Kathryn Grill Graeff disagreed with the majority, saying Syed had failed to overcome the presumption that his trial lawyer's failure to contact McClain was based on reasonable trial strategy. Graeff said she would have reversed the lower court's ruling granting Syed a new trial. A Baltimore Circuit Court judge threw out Syed's conviction in 2016 based on another contested issue -- questionable cell tower evidence. Investigators used the call log from Syed's cell phone to corroborate the story of the man who accused Syed of Lee's murder, former classmate Jay Wilds. Prosecutors at trial matched Wilds' version of events to incoming and outgoing calls on Syed's cell phone, claiming that cell tower "pings" showed that Syed was at Leakin Park in West Baltimore, where Lee's body was later found. Syed's attorney C. Justin Brown, however, has in post-conviction hearings pointed to new evidence that he says calls the cell data into question, and the lower court judge in 2016 agreed, ruling that Syed's original trial lawyer "fell below the standard of reasonable professional judgment" when she didn't raise the issue at trial. It was not immediately clear if prosecutors plan to appeal the latest ruling to the state's highest court. If it's appealed, it would be many months before Syed would learn whether his conviction stands and whether he would be granted a new trial, according to the Baltimore Sun. Maryland Attorney General Brian Frosh said in a statement his office is "currently reviewing today's decision to determine next steps." 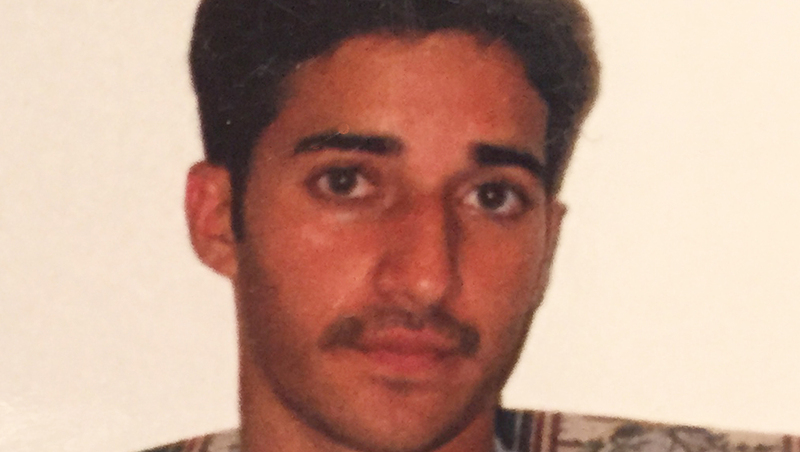 What's behind the cell tower data in Adnan Syed's case? Syed's story was widely publicized in the 2014 "Serial" podcast, which cast doubt on his guilt. The show attracted millions of listeners and shattered podcast records. The podcast "was enormously helpful" in garnering support for Syed, his lawyer Brown said at a press conference Thursday. "In addition to being incredibly entertaining, it was a great piece of reporting by [producer] Sarah Koening," Brown said. Brown said he is pleased by the ruling and said he hopes the state won't appeal it. "We hope that they will come to the conclusion that this has gone on long enough," he said. Brown said if the case were to go to trial, "we like our chances -- we like them a lot. We think we're going to win a trial." Brown said he is considering whether to seek Syed's release on bail.